Stock #29433 Model #LF1201 On Sale through 9/30/19. Stock #29434 Model #LF1202 On Sale through 9/30/19. Stock #29439 Model #LF1530 On Sale through 9/30/19. Stock #29440 Model #LF1531 On Sale through 9/30/19. Stock #29441 Model #LF1240 On Sale through 9/30/19. Stock #29442 Model #LF1241 On Sale through 9/30/19. Stock #29443 Model #LF1250 On Sale through 9/30/19. Stock #29444 Model #LF1251 On Sale through 9/30/19. Add an assortment of convenient seating for common areas, library hallways, classrooms, employee lounges, and customer waiting areas with the Sonik Soft Seating Benches by Marco! 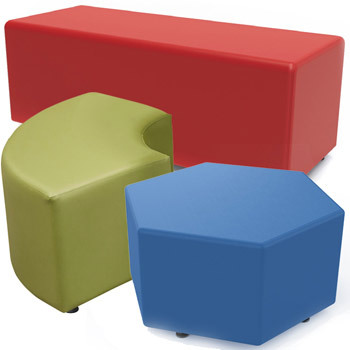 Featuring a solid 3/4" plywood structure with foam padding and highly-durable vinyl upholstery, these benches can be combined with other Marco soft seating products for countless environments where you want your students, customers, and employees to feel relaxed.